23% of US consumers are now “very willing” to use their mobile phone as a wallet, a KPMG survey has found, but many consumers are still expressing privacy and security concerns. 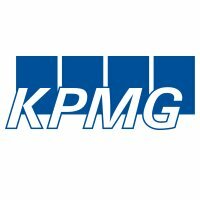 KPMG‘s fifth annual Consumers and Convergence survey has found that 23% of US consumers are now “very willing” to use their mobile phones as a wallet and the number rises to 30% for younger adults aged between 16 and 34. Consumers also expressed a high level of specific privacy and security concerns over conducting financial transactions on a mobile device, however, including the potential for credit card information to be intercepted, the threat of unauthorized parties accessing personally identifiable information and even receiving unsolicited promotional material. When asked who they trusted the most with their data, 53% of respondents identified their banks and 29% said they would put their trust in payment systems like PayPal. 72% rated the “brand/reputation of the service provider” as very important in gaining trust with respect to data privacy and security, 60% said better disclosure of privacy and security measures implemented by the service provider was very important and 59% felt privacy and security audits by an independent third party or a trust mark was key. The survey also found that 33% of US consumers have now conducted banking transactions on a mobile device, compared with 19% a year ago and 9% in KPMG’s 2008 survey. Last month KPMG reported on other findings from the same survey which highlighted that consumers are increasingly willing to share personal data with advertisers.